Lakewood Towing Services- Call The Nearest Tow Truck Now! We are happy to provide towing service to the great city of Lakewood CO! Our Lakewood towing service is just as super as our Denver towing service! We know the city of Lakewood provides some tough competition when it comes to exceptional service and while we can’t offer Casa Bonita style cliff divers we do have a driver named Bart that once visited a cave. I know, it’s not the same but someone has already cornered the market on amusement park themed dinners. We, on the other hand, have cornered the market on Lakewood towing services. So let’s get to the point. Your ride needs some help. Whatever it is, you’re in the right place. We serve the entire Denver metro area, including Lakewood, and we serve it well! Give us a call now at 720-800-6161 and let’s get your problem solved. Step one, you get on the line with the best dispatch team in Colorado. Not just Denver, not just Lakewood but all of Colorado. We know we are the best because we keep it simple and follow the Golden Rule. We treat you the way we would want to be treated if we were having a really bad day. 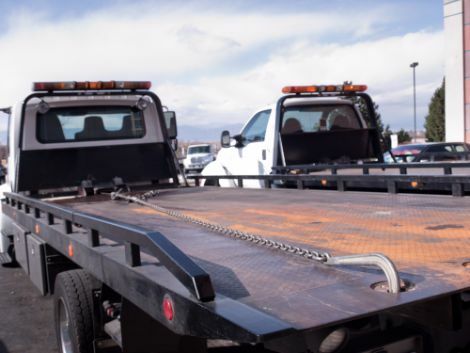 Because the fact is, if you need our Lakewood towing service, there is a good chance that things aren’t going your way. Step two, we will get our nearest tow truck to you as fast as we possibly can. It’s tough to tell you right now how fast that is going to be but we will give you our honest and accurate estimation. Our hopeful estimation of arrival isn’t going to do you any good so we won’t waste your time with that. Our Lakewood towing professionals know that you need your problem solved as fast as possible. Step three, and our favorite step, you have now been towed, hauled, winched out, fueled up, unlocked, roadside assisted or otherwise have had your problem solved. Our Lakewood towing services save the day again. We know you have heard other Lakewood towing companies claim to be the best. But we also know that talk is cheap. Give us a call at 720-800-6161 let us show you what exceptional service looks like.